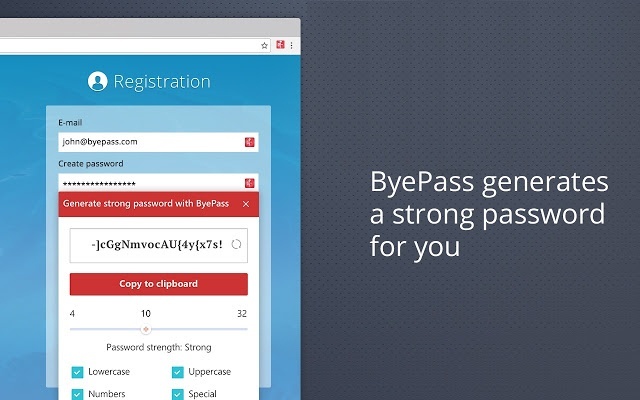 ByePass is a platform-agnostic, secure password manager that also helps protect your online purchases. Encrypt—shield your passwords and credit cards online. Remotely log out—of all websites from wherever you are. What makes passwords vulnerable to hackers? With ByePass, these concerns are automatically and effortlessly taken care of for you. 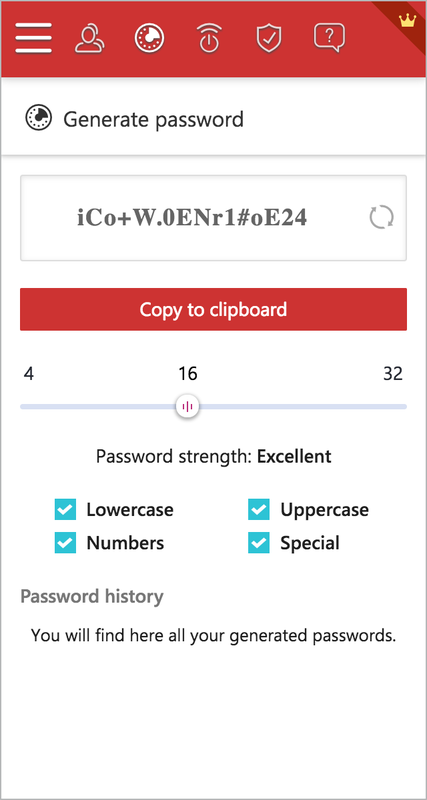 All you will ever have to do is remember one password. 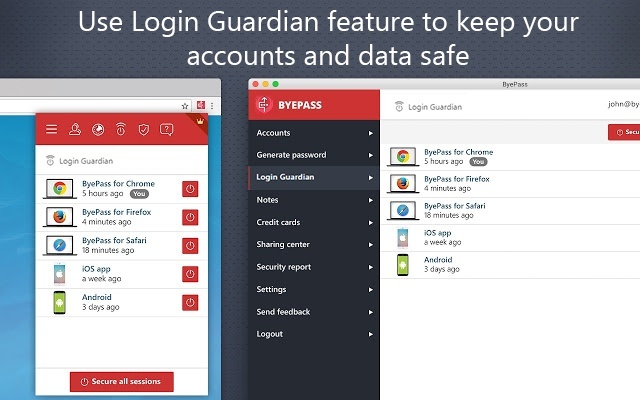 With ByePass, malicious intermediaries are also blocked from stealing your credit card info. 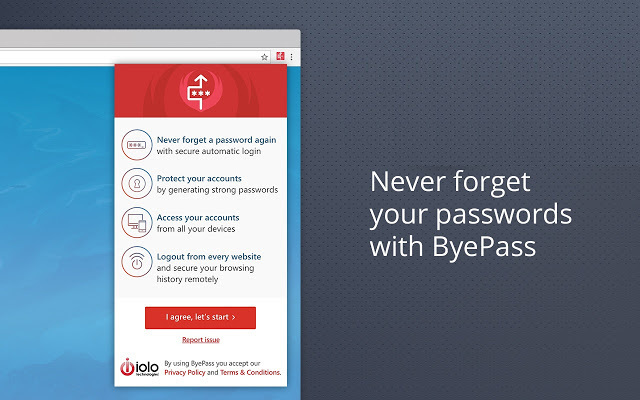 ByePass encrypts your credit cards, concealing the numbers from spying eyes. Even online vendors have no access and cannot store it. If those hundreds of thousands of consumers in the Equifax hack had been protected with ByePass, hackers would not have gained access to their credit cards because they wouldn’t have been stored in the first place. 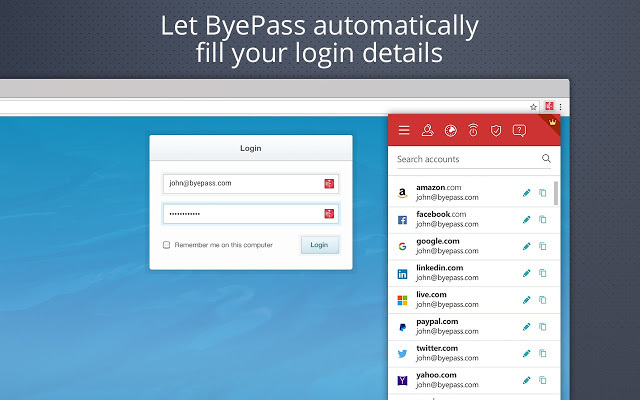 ByePass is a secure web browser extension compatible with many operating systems running the latest versions of Chrome, Firefox, Safari and Edge. ByePass is also available for Android mobile devices; the ByePass iOS mobile app is coming soon.